Continued dry and windy conditions in British Columbia are worsening the province's ongoing wildfire crisis, with new evacuation orders issued on Sunday. 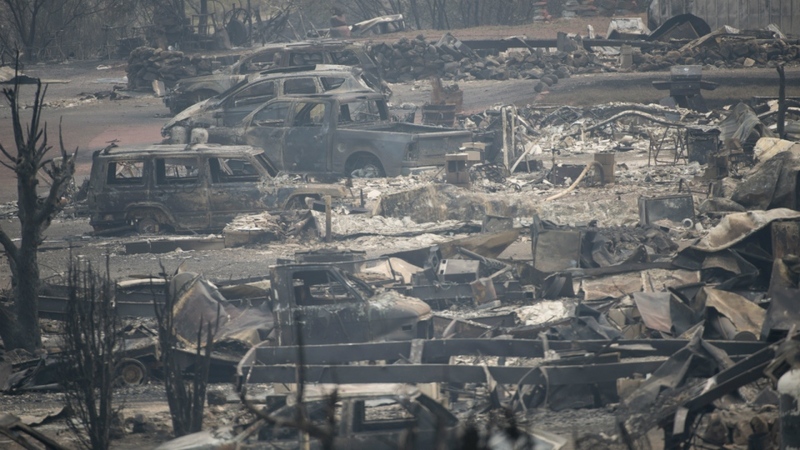 An evacuation order was issued for all of Williams Lake, a town of 10,000 people, at 6 p.m. PDT, meaning residents must leave the city, with Highway 97 the recommended evacuation route. The ridge of high pressure that has kept conditions hot and dry across southern B.C. is giving way to a cold front - a temperature drop that may have otherwise been welcome, if not for the winds accompanying it. Special weather statements were issued for much of B.C. 's Southern Interior ahead of a gusty weekend, with widespread winds between 20 and 50 kilometres per hour starting Saturday afternoon over the central and southern Interior. Along with a temperature drop of 6 to 8 C on Sunday, the cold front will bring rain with it; however, showers can only be expected north of the Cariboo region, avoiding the areas that need wet weather most. "There is also the risk of lightning over the central and northern Interior as well as over the Kootenays and Columbias," Environment Canada's special weather statement reads for Cariboo. "Unfortunately, significant rain continues to elude the southern half of the province for the foreseeable future." Prior to the evacuation order in Williams Lake, at least 16,000 people had been displaced across B.C. due to widespread evacuation orders. BC Wildfire Service has flagged dozens of "wildfires of note," which are fires that currently pose a potential threat to public safety. More than 120 wildfires larger than 0.01 hectares were burning in the province at last count. BC Wildfire Service tells Environment Canada that the forecasted weather is capable of challenging efforts to contain the several large wildfires burning across southern B.C., while also possibly causing the growth of a number of fires.